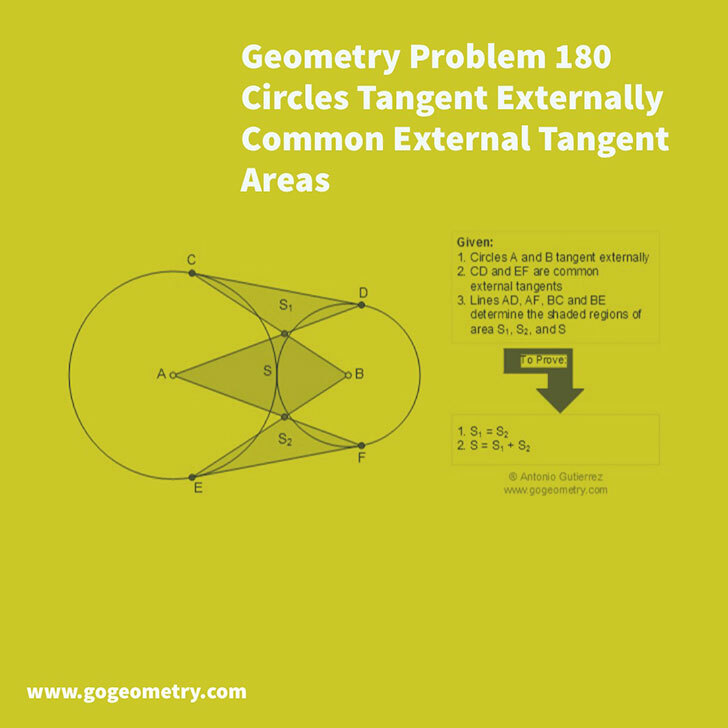 In the figure below, circles A and B are tangent externally. CD and EF are the common external tangents. Lines AD, AF, BC, and BE determine the shaded regions of areas S, S1, and S2, (1) Prove that S1 = S2, (2) S = S1 + S2.